Good Sunday evening and welcome to Sunday Snippets, a weekly linkup hosted by RAnn in which Catholic bloggers answer a weekly question and share their posts. Y’all, if you haven’t been reading me for long I promise I really do qualify as a “Catholic blogger.” For one thing, I’m a Catholic, first and foremost, which informs EVERYTHING I do, including blogging. 🙂 But also, even though lately my posts tend more towards health and exercise, if you look back you’ll find plenty of religious content. Question of the Week: Tell us what you like best about your parish. 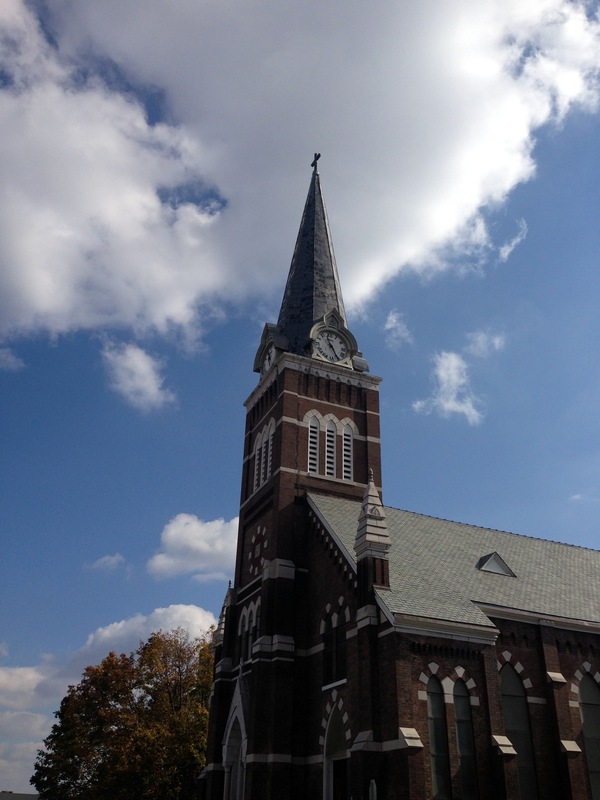 My parish is Immaculate Conception, the oldest parish in East Tennessee. The parish is 159 years old and we celebrated the 125th anniversary of the current church building just a few years back. My family has been part of this parish for almost 70 years. My parents were married here, as we were; I was baptized here, as were four of our five children; and all our children celebrated their First Communions here. So what I like best would be my historical connection to the parish, and next would just be the way I feel when I am there: Nowhere else do I feel as comfortable and at home. Now for this week’s post. Yes, once again, only one! This week I reviewed The Relationship Project in my capacity as an Off-the-Shelf blogger for Beacon Hill Press. I have a lot of extra commitments this week, but I also have a number of post ideas, so we’ll see what happens! Check out more prolific bloggers at the linkup here.